Year after year, Dreamforce continues to raise the bar for conferences. In fact, Bizbash ranked Dreamforce as the #1 Technology Industry Event in San Francisco! From overall event experience to level of execution, we’ve taken the most epic parts of South by Southwest, TED, and trade expos, added philanthropy, and bundled it into four days perfect for employees across your entire organization. Thousands, actually! Our Salesforce experts are eager to help you solve your business problems. Whether you’re interested in learning about marketing automation, rolling out your new Salesforce CRM system, or want to learn how to build an app, we have someone with all the answers. Looking to see how industry leaders are using Salesforce? It’s all inside the Campground, formerly known as the Customer Success Showcase. See firsthand how a diverse group of companies and industries are getting huge ROI thanks to the power of Salesforce. We’ll have laboratories, cityscapes, iconic toys, and even more surprises to leave you wowed! Looking to swipe right and network .. .in real life? Dreamforce is the place to make new connections! 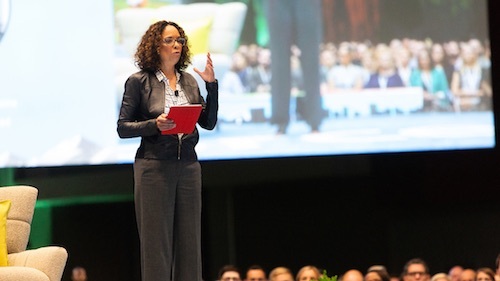 There is no shame in networking in person and online, so whether you find yourself at a cocktail party, or connecting with experts using #DF16 on Twitter, there will be ample opportunity to grow your circle. Product Keynotes are some of the most popular aspects of Dreamforce, and we’re going to have several. With more product keynotes than ever this year, you’ll get exposure to the innovations across every cloud and see demos that apply to every role within your company. Can’t make them all? No worries. You’ll be able to check them out on Salesforce Live after Dreamforce. The Dreampark has always been the heart and soul of Dreamforce. Now, imagine that space bigger! Better! And with lots of adventures to help you become a Customer Trailblazer! We’ve reimagined the space to become a meadow of inspiration, relaxation, and more. And best of all, there’s a dedicated space to participate in volunteer activities. Product announcements that shake up the tech industry are what Dreamforce is known for. This year will be no different. 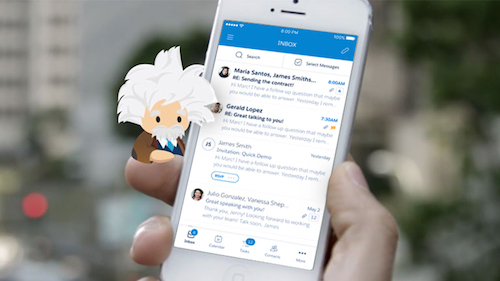 We’re giving you a head’s up now: you don’t want to miss what we are planning to unveil about what’s coming from Salesforce this year! And the top reason to attend? 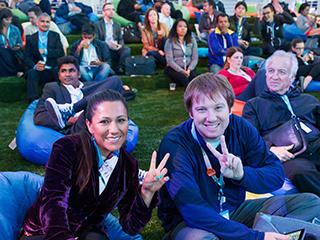 You can attend Dreamforce for free with our Expo+ pass. That means free access to the Compassion Day Keynote, the Cloud Expo, select product keynotes, the Dreampark, and the opportunity to hang out with our resident celeb, SaaSy. Get all the details here. As a first-time attendee, make it fun by inviting along a friend or your whole team, and take advantage of the free Expo+ pass. Or, go all in and sign up for a full pass to explore every facet of the conference. 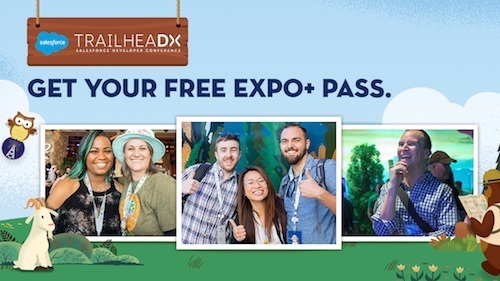 Sign up TODAY for your FREE Expo+ pass and see what it’s all about.